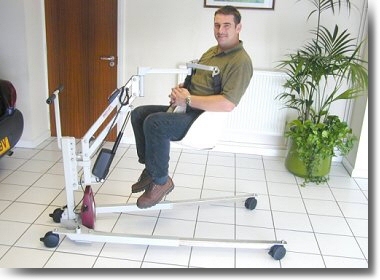 The Milford Person Lift is designed to lift a person, safely and without putting strain on the carer/operator or person being lifted. The lift is not only used for your vehicle but along with the Milford Mobile Base you can now use this in the home, your friends home, on vacation and even in a camper or RV. Do you have confined areas where the base is not suitable? Then the Milford Wall Bracket solves the problem. 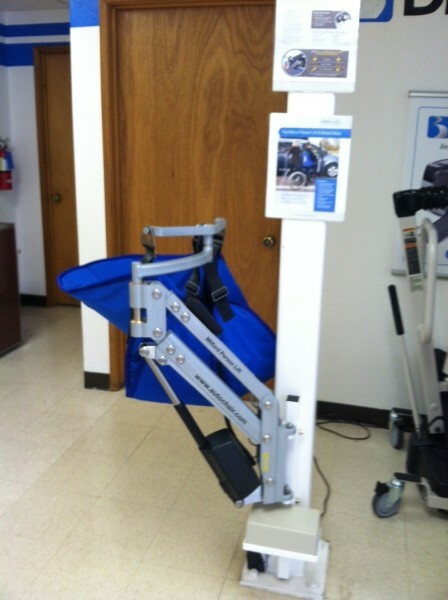 The Easy-Base is a portable wheeled base for your Multi-Lift. Vacations, hotels and second homes are now conveniently accessible with your Easy-Base. To stow, just fold the handle and legs down and roll the Easy Base like a suitcase, using its own built-in wheels. The slide-out battery pack works for a minimum of 40 cycles and can be charged on or away from the Easy- Base. The Easy-Base is lightweight and folds flat. It stores in the trunk of most cars! 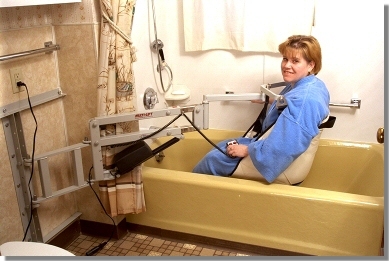 One portable Multi-Lift can lift you to your bed, sofa, toilet, bathtub or your favorite easy chair. 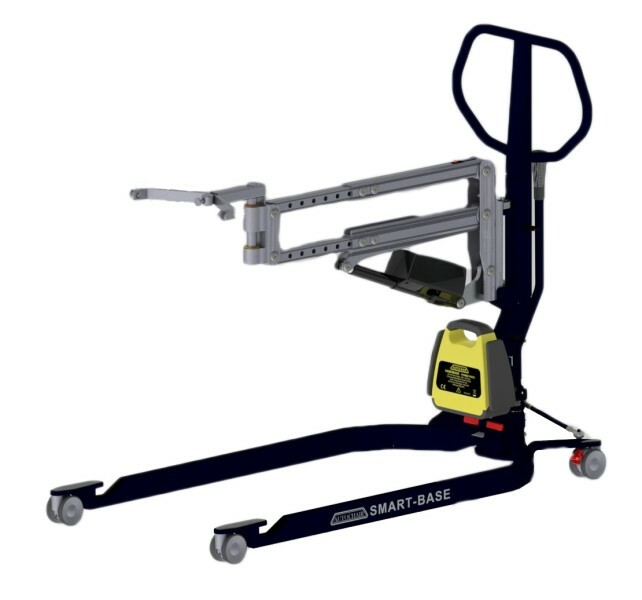 With a mounting bracket at each location where you want to transfer, your Multi-Lift lifts you safely and easily, without having a separate piece of equipment to do each job.